This massive work provides a comprehensive insight to the experiences of Bomber Commands pilots and aircrew throughout WWII. 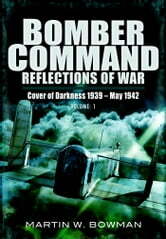 From the early wartime years when the RAFs first attempts to avenge Germanys onslaught were bedeviled by poor navigation and inaccurate bombing, to the last winning onslaught that finally tamed Hitler in his Berlin lair, these volumes trace the true experiences of the men who flew the bombers. Hundreds of firsthand accounts are punctuated by the authors background information that puts each narrative into wartime perspective. Every aspect of Bomber Command's operational duties are covered; day and night bombing, precision low-level strikes, mass raids and operations throughout all wartime theaters. 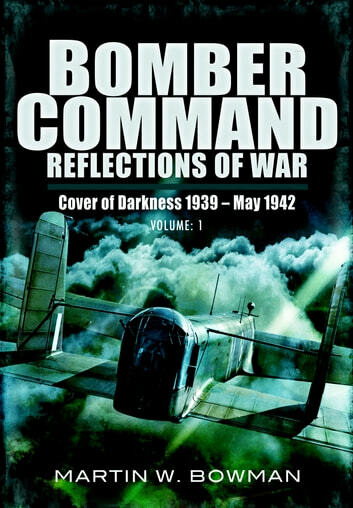 Contributions are from RAF personnel who flew the Commands different aircraft from the early Blenheims and Stirlings to the later Lancasters and Mosquitoes.Each volume is full of accounts that tell of the camaraderie amongst the crews, moments of sheer terror and the stoic humor that provided the critical bond. The five volumes of this work provide the most vivid and comprehensive work on the outstanding part played by RAF Bomber Command and their vital role in the destruction of the Third Reich.